On restaurant tables across the country, this hearty veg is the star of the show. The cabbage craze is real. Chefs across the country are offering innovative takes on the stalwart winter vegetable: smoking, charring, baking, and pureeing it. 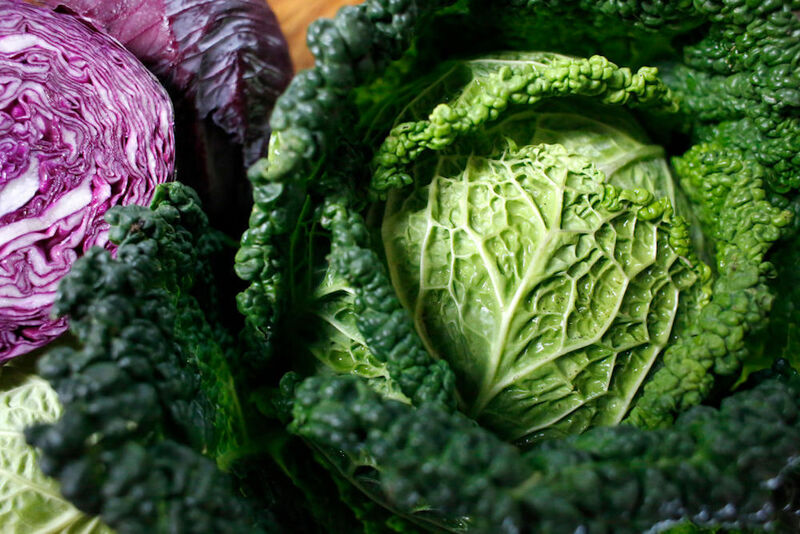 It turns out that when treated right, cabbage’s bitter, sulfurous compounds can be tamed to yield complex, deep flavors that range from butterscotch-y, caramelized notes to the umami-rich meatiness of a steak—and sold at a price point to match. At Senia in Honolulu, chefs Chris Kajioka and Anthony Rush slow-cook Caraflex cabbage (also known as arrowhead cabbage), a cone-shaped heirloom variety with especially dense leaves that retain a nice crunch after cooking; its lower sulfur content makes its sweetness more pronounced. The chefs start by cooking the cabbage in a bag with clarified butter, compressing the vegetable to make it even denser and to concentrate the flavor. “The density allows us to cook it low and slow for a long time, allowing the natural umami to fully develop,” Kajioka says. The flavors become even bigger once the cabbage is doused with dill, Parmesan, and kombu. More familiar Napa, green, and red cabbages are also getting love on fall menus. Check out more of our favorite iterations of the trend at the restaurants at right, or cook your way through our best fall cabbage recipes at foodandwine.com/cabbage. At this California produce–driven izakaya, chef Travis Lett marinates Caraflex cabbage in sweet potato vinegar, bakes it, then grills it over binchotan charcoal. The dish is then topped with aioli, chives, sesame, and from-scratch furikake. Chef George Meza caramelizes Caraflex cabbage, then combines it with sweet black garlic to make a filling for gyoza. Each batch of dumplings is steamed and seared to order, then finished with black garlic–chicken jus and lovage verde. Slow-cooked Caraflex cabbage is heavily charred, then garnished with shio kombu, dill, Parmesan, and Moringa powder. The wedge, which is the highest-selling plate at the restaurant, is placed atop a pool of housemade green goddess dressing and dotted with buttermilk gel. Best New Chef alum Matthew Accarrino grows his own Savoy cabbage for his modern Italian restaurant. He uses the leaves as a wrapping for a goat cheese–stuffed meatball that’s served with spiced cabbage puree, cabbage chips, and cabbage shoots. For her everything-goes slaw, chef Hillary Sterling serves shaved raw green cabbage, treviso, and bulgur in a zesty, chile-spiked vinaigrette, topped with toasted sunflower seeds and chopped basil, parsley, and lovage.